Understanding your dog isn’t always easy. Maybe your Labrador chews your shoes or your furniture when you leave him alone for more than 5 minutes? Why does he do this? 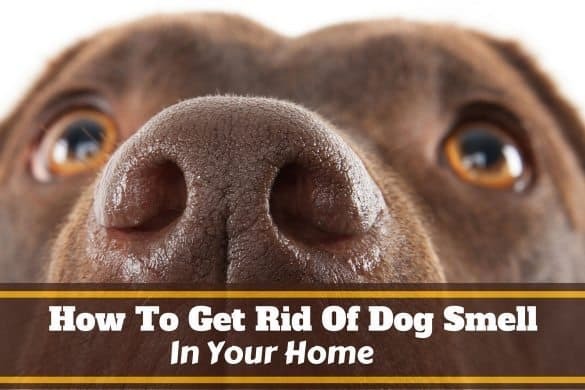 Maybe your Labrador incessantly barks at the doorbell when anybody comes to your house? Why? You’re always telling him NO! Or begging him to quiet down. Maybe your Labrador growls and gets aggressive when you get near his food bowl? Why? It’s not like you’re going to steal his food is it?! Sadly this is the frustrating experience of many Labrador owners. Their Lab does things they don’t agree with and they just can’t make it stop. But before you can shape your dogs behavior, you need to understand why his behaviors occur in the first place. Learn Your Labs Drives and Harness Them To Do Good. Your Labs Main Method of Communicating is Different to Yours. It’s Only Fair You Learn Your Dog’s Body Language and What it’s Telling You. Be Considerate of Your Labs Emotions…After All, He Does This For You. Understanding Your Dog Will Lead To a Better Life For Both of You. Although you may like to think of your Labrador as ‘one of the family’ and treat him as such, he is not a human being. A Labrador is a dog. And a dog has many instincts, drives and needs that are completely natural to a dog, but which we may unfairly see as bad behavior. Excessive barking – Though other reasons exist, most of the time it’s to warn of approaching animals in the wild. But this translates to people approaching the door, walking by the foot of your garden, etc. Digging in your yard – They would do this in the wild to seek comfort or to cool down. Also for storing and preserving food for retrieving at a later time. This isn’t necessary in life at home with you, but the urge is still there. Chewing – Your Labrador will be especially ‘mouthy‘ as a puppy when teething. But the Labrador was bred for hunting and retrieving, carrying things in their mouth. So their drive for chewing is very strong and will remain right through adolescence. It is a strong natural urge. Like all animals, your lab came into the world with a set of instinctive behaviors and drives that he is genetically predisposed to and has very strong urges to perform. Most of these instincts and drives are to do with the survival of the species. The instinct to reproduce, the instinct to hunt prey, the instinct to protect the pack in which he lives (defense). 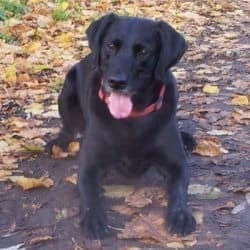 When these drives aren’t satisfied, or worse, when you try to stamp out and hold them back, high levels of frustration can develop in your Labrador that need a release…usually in a way that you will not like. You may find that your lab becomes uncontrollable at times, maybe destructive and in extreme cases, maybe even aggressive. On the flip side, by learning the natural drives your dog possesses, you can begin understanding your dog and why he has certain behaviors. Then, through training, you can learn to channel these drives into alternative, more acceptable behaviors. At the same time, you can make sure you meet your labs instinctive desires, giving him not just what’s essential (like food and water) or what you think he needs, but what he ACTUALLY needs to feel fully satisfied in life. You’ll have a far happier Labrador! So with a little knowledge, you can teach your lab to avoid performing behaviors that although natural to him, are undesirable to you. 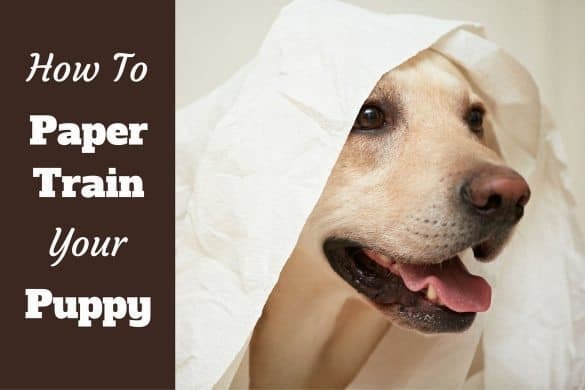 Your lab will feel happier…and so will you. Understanding your dog doesn’t start and end with knowing just his needs and behaviors. You also need to learn canine communication. You and your Labrador weren’t born with a natural ability to communicate with one another. After all, you are different species. Humans are very vocal. We have complex languages made up of many different sounds that when strung together in a particular order, can communicate almost anything from one person to another. Now compare this with your Lab. Excluding a few barks and growls, dogs don’t have a vocal language and rely more on reading canine body language.  They are very visual and use body posture, facial expressions and eye contact to communicate. This is their way of ‘talking’ to one another without the luxury of a spoken language. And so your Labrador is constantly telling you precisely what they mean and how they feel by the way they stand, hold their tail, move their eyes and ears and how they move around and act. But without the ability to understand human spoken language, it’s often difficult for your Labrador to understand what you are telling him. It’s also very difficult for your lab to tell you what they want, what they need or how they are feeling in any given moment. Especially if you’re blind to what his body language is telling you. So it’s highly likely you and your dog aren’t communicating and understanding each other as well as you could and should. In fact, it’s likely you are totally misunderstanding each-other at times, and this can lead to problems. 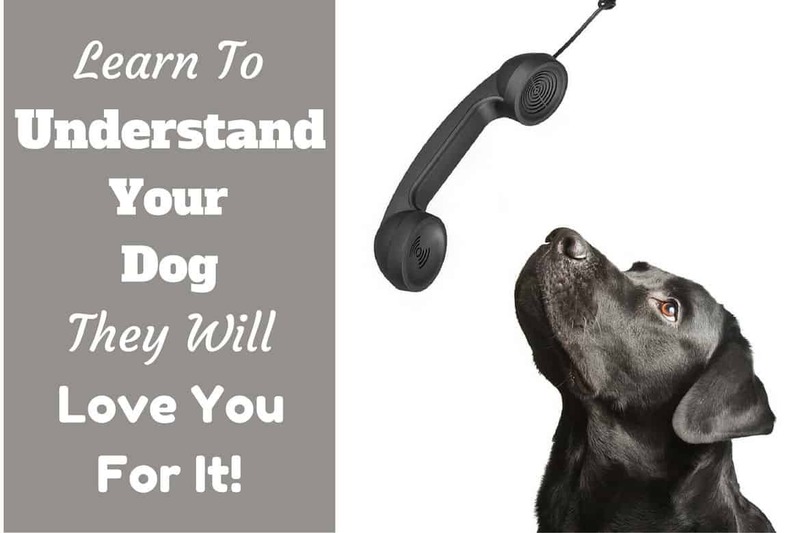 If your dog misreads what you are saying, and you in turn misunderstand what your dog is telling you, there is a lot of confusion and mixed messages on both sides. Now, your Labrador will spend a huge amount of time studying you, your movements and postures and learning what they mean and how you are feeling. They are naturally skilled at this and are very keen to learn too. In fact, it’s famously said that your dog becomes so in tune with you, picking up on the smallest of body signals you unknowingly give, that they know exactly what your intentions are, almost without you saying or doing a thing. The average owner will also spend a great deal of time training their lab to live in our human world and to understand human communication. Some gestures. A few words. So we can ‘talk human’ to our dog and get them to understand us. But isn’t this all a bit one-sided? Us expecting our dog to learn human behavior and language, without us attempting to learn how they naturally behave and try to communicate with us? Isn’t it unfair that your dog spends so much time trying to understand you, yet you invest so little time toward understanding your dog? All successful and happy relationships are a two-way thing, with communication and understanding from both sides. It should be this way between you and your lab. When you approach your dog with the aim to interact or ask it to do something, it’s vital that you take notice of his emotional state. Think about when you approach a human friend. Their body language will instantly tell you whether they are nervous or relaxed, energetic or tired, happy or sad. You will then act accordingly. We should teach ourselves to do the same thing for our dog. 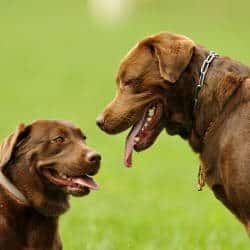 It would be silly and unfair to approach a dog that’s communicating aggressive signals unless you truly understand his intentions and how you should FAIRLY react. It’s even more unfair if you do approach and your dogs aggression escalates, then you punish him for this. 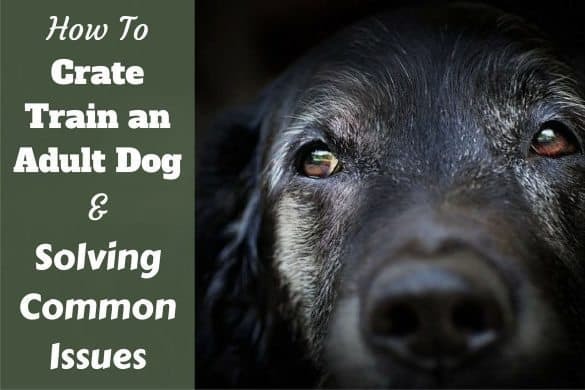 It’s YOU that didn’t back off when asked and haven’t invested time in understanding your dog, this particular behavior and how to correct it fairly. It’s hardly fair to ask a dog that’s showing fear or nervousness to approach the very thing it’s afraid of. You wouldn’t force a young child to jump on a roller-coaster, or sleep in the dark if that’s what scares them. We know this can cause long-term psychological problems. You would be mindful of and care about the child’s emotional state. Similarly, you should be considerate towards and find gentle ways to build your dogs confidence in much the same way you would a child’s. Investing some time in learning your Labradors psychology, natural behavior and body language will enable you to understand and influence him more effectively. 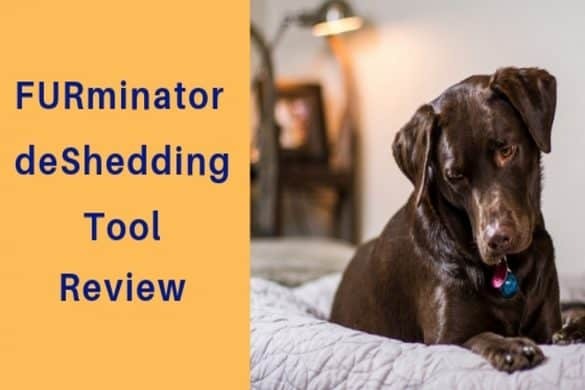 By understanding your dog better, you can learn the skills required to overcome any behavioral problems whilst simultaneously meeting your labs natural needs. With knowledge of why your Labrador performs certain behaviors, you’ll be able to more readily recognize the beginnings of behavioral problems and apply effective training solutions before things ever escalate to more serious stages such as aggression, anxiety or unhealthy obsessions. 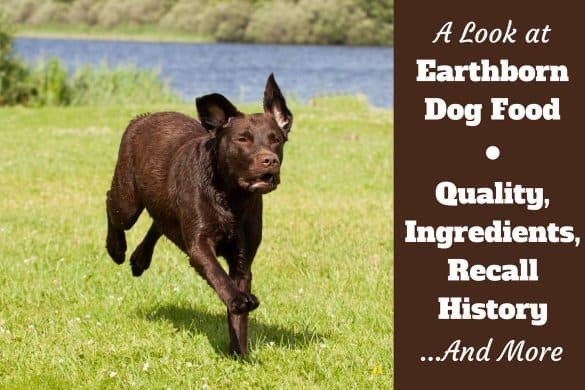 This will give your lab the chance to be happy, psychologically healthy and well-adjusted to life living with humans. And this will ultimately result in you achieving a strong and healthy bond between you and your lab based on trust and a mutual understanding. Dogs that misbehave are almost always missing something in their lives. Usually as a result of a lack of knowledge from the owner on what their dog actually needs. Also, misunderstandings due to miscommunication can result in a lot of frustration…on both sides of the relationship…that can lead to what’s seen as behavioral problems with your lab. Don’t Be That Bad Owner. 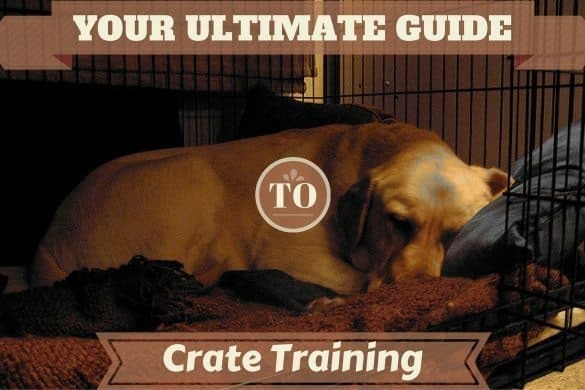 Become an owner armed with the powerful knowledge of what your lab really thinks, what he’s telling you, what he really needs and the natural canine instincts that his behavior stems from. Then teach yourself to adjust your own behavior and training methods to suit the natural ways of your lab. You can then enjoy the beautiful thing that is a happy, well behaved and balanced pet Labrador. You both stand to benefit immensely from you understanding your dog. I’d welcome any feedback or questions on this article so if you have any, please feel free to leave them in the comments section below. I will answer every one. We have a yellow lab that came to our house about six months ago. We could never find the opener so he has become a part if the family. We love him and he is a great dog, however, he refuses to let us pick him up. He cowers and runs away, otherwise he is friendly and loves us yo pet him. We had a difficult time taking him to the Vet. He fought with everything in him. We had to get a muzzle from the vet because he was so aggressive. What can we do to get him out if this? Hi Phyllis! Like us, all dogs are individuals and some just don’t like to be picked up! Some love it, others loathe it, but most just learn to accept it. The main causes of a dog not willing to be touched are being taken away from the nest too early (when with mother and littermates, they are constantly touched, rubbed, climbed all over and jostling for space), and not being socialized to touch by humans from a very early age. If a puppy isn’t handled gently and carefully, but very often from an early age, then when they’re grown it’s abnormal and they may fear or strongly dislike it. Have a read of those that do a reasonable job of explaining the situation and some exercises to help. Two more things Phyllis: If your dog is getting really aggressive, please do not ignore the signs and think you can ‘push through’ the aggression and force him to do as you wish. This could be very dangerous and is unfair. If your dog growls and warns you, respect that and stop what you are doing. If somebody came over to you and started stroking your hair or waist, you can tell them to leave off. A dog should have the right to do the same! So try follow some of the exercises in the articles above to get him used to touch but if he really will not have it in any way and you cannot make progress, then you MUST seek professional help with this. Secondly, it’s very important that you DO NOT scold or tell him off for growling or snapping. If he growls, he has warned you, if he snaps, you should have listened and acted on the first warning signs and backed off. If you punish him for growling and snapping, what can happen is a dog will stop showing these gentle, early warning signs as they know they will be punished. What can happen then is they do not like what you are doing, but cannot warn you, so put up with it until it becomes so unbearable that they go straight to biting! So never punish your dog for growling. It’s a very important piece of communication. Scary? yes, but important. So please do not punish and try to prevent growling. You need to treat the cause so he isn’t afraid and asking people to back off rather than punishing the growling etc. i have a Lab 19 months old. he is having a behaviour of jumbing up to all people. i sent him for a training now it is better. another main problem is he is biting and damaging the my Motor Bike plastic parts and the seat cover and also my of my car. Hi I have a 3 month old lab that I just love to pieces. She is very smart. The only real problem I feel that I’m having with her is her nipping/biting and being rowdy. I know why she gets that way. Its the days when she does get much exercise and I do get that. Ive gotten her house trained already so thats the next feat to master. But here is my deal. 1. I’m 55 y/o and my health isn’t the best, 2. I don’t have that big of a yard. So…I need some idea’s of what I can do for her for exercise. I don’t drive so we can’t really go anywhere. I walk her as far as I can go with her. And we play lots of ball. It’s been raining a lot lately and those days are really bad. She likes to go out in it but I stay in. So no fun for her. So any suggestions very welcomed. A 3 month old Lab nipping and being rowdy is perfectly natural behavior and maybe isn’t down to a lack of exercise. The generally accepted rule of thumb is a puppy needs just 5 minutes of structured exercise, for each month in age, per day. So at 12 weeks (3 months) she only needs 15 minutes! You can provide this by rolling a ball up and down the hallway, tug-of-war with a rope toy, very short games with a laser pointer toy (but not much of this as the lack of satisfaction of actually getting the dot can be troublesome for some dogs! So really, only occasionally with this one). You can buy treat dispensing chew toys that will make your lady work for her food while keeping her mind occupied. Maybe even go so far as hiding some treats around your home that she has to use her nose to sniff out and find them while exploring around. You should have many small, short and sharp training sessions during the day. Just 2 minutes here, 3 minutes there, every hour or two of basic obedience training commands. And eventually some harder tricks if you’d like! But honestly at 12 weeks, it’s completely ordinary. Just work on training her to first ‘soft mouth’ you, then eventually ‘no teeth on skin’ at all over the coming weeks. I hope this helps Roni! I’m not comfortable giving advice on treating aggression from a dog toward humans. I could get somebody hurt and your dog into a lot of trouble if anything goes wrong! I would also warn you against following advice you find elsewhere online for the same reasons. What works or has worked for one dog in one situation may not work for yours and could end up with a biting incident. Please, please speak to your vet and ask for their professional advice and contact details for a professionally qualified animal behavior specialist who can assess your individual situation and give correct advice to follow. This is the only thing you should do considering the gravity of the situation! If he bites, someone could be hurt and your dog perhaps destroyed. But there is hope and he can be helped…however, only if you seek professional advice! We are adopting a 2 year old black lab who is very sweet! He doesn’t bark, he walks nicely on a leash. He is great with kids and baby and even with our cat! I am just wondering how I can teach him personal space. He is new to us so I want him to feel welcome, but he follows right on my leg and I run into him all the time. It is not so bad if I’m standing and moving around the house but if I sit down, we are nose to nose. If I pet him it doesn’t matter, if I ignore him, he will jump his two front legs on my lap. He never lays down unless he is locked in his crate and I can’t get him to do more than sit for a short time on command, he will not lay down. He is always in my face. We have a back yard and he will play back there with us, if I let him out he sits at the door wanting back in. He goes for walks and we play outside but won’t rest at all (even sit unless I tell him) unless he is in his crate. Is this just going to take time for him to get used to? Should I take him to puppy class even though he’s 2 and very well behaved and respectful all other times. Does he just like to be in his crate to rest? He won’t go in and rest with the door open, it has to be closed up! I want him to feel comfortable to be with the family and give me some personal space. Certainly he can go where he is comfortable and rest but I feel terrible locking him in there. The only one who doesn’t care about it is the baby who doesn’t know about personal space either ;) Any advice is appreciated, I want him to feel at home and want to do what is best for him, if its just time then great but if I need to be doing something for him I will do it! Other things you should be aware of / need to keep in mind is: Changing a behavior can take a long time so you need to be consistent with the rules and dedicated and patient with the training. You also need to make sure EVERYBODY lives by the same rules because if you are trying to train respect for personal space yet 2 or 3 others welcome the shadowing, he will not learn. Everybody must learn and stick to the same rules that you’d like to implement. We have a 6 yr. male English yellow lab that we bought from a breeder. He’s been with us since he was 7 weeks old. He was an easy puppy – potty trained quickly, never chewed anything, and had/has a great temperament. He had formal obedience training before he was one. He is the most amazing, loving, smart dog I’ve ever had. However, he started marking in our living room about 6 months ago. He is not neutered & always pees in the same spots. Nothing in our home has changed. Our schedules are the same & he has the same routine. He only pees when no one is home. And when I go to clean up the mess, he walks into his crate with head & ears down. Until he was 2, I crated him when we were away & he has always liked his crate. I have started that routine again. I just can’t figure out why he is peeing in the house. I have seen the vet for this issue & he has no physical problems that would explain this behavior. Other than this issue, his demeanor is the same. Any advice you can give is greatly appreciated. I have a chocolate lab. 2 years old. She loves the outdoors and have been running with me everyday and swimming in dams in the summer. But resenlty when we run (she runs without leash) she stops and smell at everything. And then also eats what ever she can? I do feed her every morning and evening. These passed days i just couldnt get her to stay running next to me. Please help i am really getting frustrated with her and think she is to. She knows she is wrong when she stops and smell and eat something. It’s difficult! If she is – for now – finding that smelling and eating the things she sees out on runs more exciting and rewarding than continuing running, it’s what she will do as it’s rewarding and therefore the behavior is reinforced and happens more often. If you are both out running and she’s off leash, there’s little you can do in that moment, control is hard. To try and break the habit, you have to make running alongside you more appealing and rewarding than the things she is stopping for. I would try going out for walks with her on leash, and with a pocket full of VERY high value food rewards (whatever that may be for her – different dog to dog). Purposely take her past some very exciting things she normally stops for and entice her to continue by luring her past with the treats you have. Then every so often along the walk, treat her randomly. After 30s, then 45s, then 30s, then 2 minutes, and so on. Making sure it’s random and not too often. After a few walks like this, try jogging slowly and doing the same. Jogging past things she normally stops for, luring her past with high value treats, but also treating randomly also. You will need to keep her on leash for this. Eventually, run / jog with her and do the same. You might have to start jogging with a special leash made for the purpose too. Check on Amazon for ‘Hands free dog leash’. These attach to a belt around your waist and are used for jogging / running with dogs. I am wondering if you get to know your dog better will i bring out its best abilitys. I am wondering if you get to know your dog better will it bring out its best abilities. My lab is extremely scared of loud sounds. In particular, she is afraid of fireworks. The problem is it seems to impact her for days. She is scared to go outside even the following day and at night time she seems to get preemptively anxious even when no fireworks are going off. This seems to happen every year around the 4th of July. I have a Thunder shirt for her but it doesn’t do much. She seems to be quite depressed from all of it and its wearing her down. Whats the best way for me to approach her when she is frightened?